(L-R) Christian Amaraut “Male Ensemble,” Cedric Leiba, Jr. as “Juan” and Kyle Beltran as “Andres” in The Old Globe’s production of Kingdom, book and lyrics by Aaron Jafferis, music by Ian Williams, directed by Ron Daniels, playing at Lincoln High February 14 – February 15 and in the Old Globe Theatre February 19 – February 22; photo by Craig Schwartz. 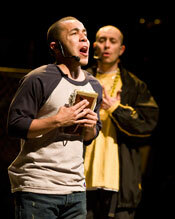 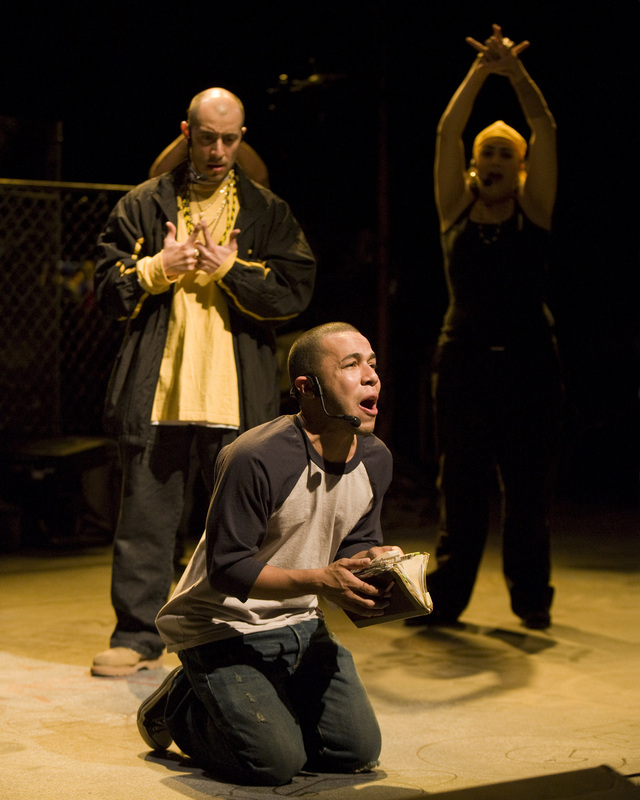 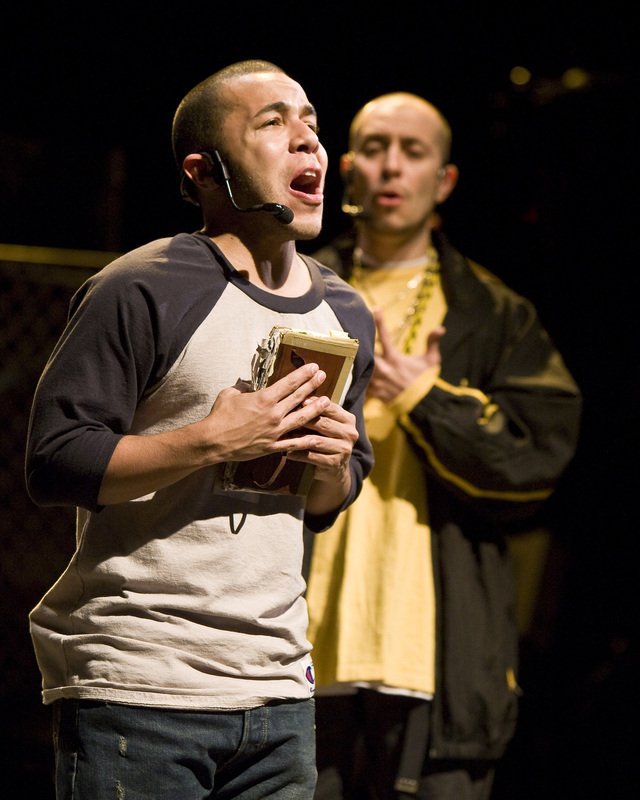 Cedric Leiba, Jr. as “Juan,” with Gerardo Rodriguez (behind) as “Cano” in The Old Globe’s production of Kingdom, book and lyrics by Aaron Jafferis, music by Ian Williams, directed by Ron Daniels, playing at Lincoln High February 14 – February 15 and in the Old Globe Theatre February 19 – February 22; photo by Craig Schwartz. 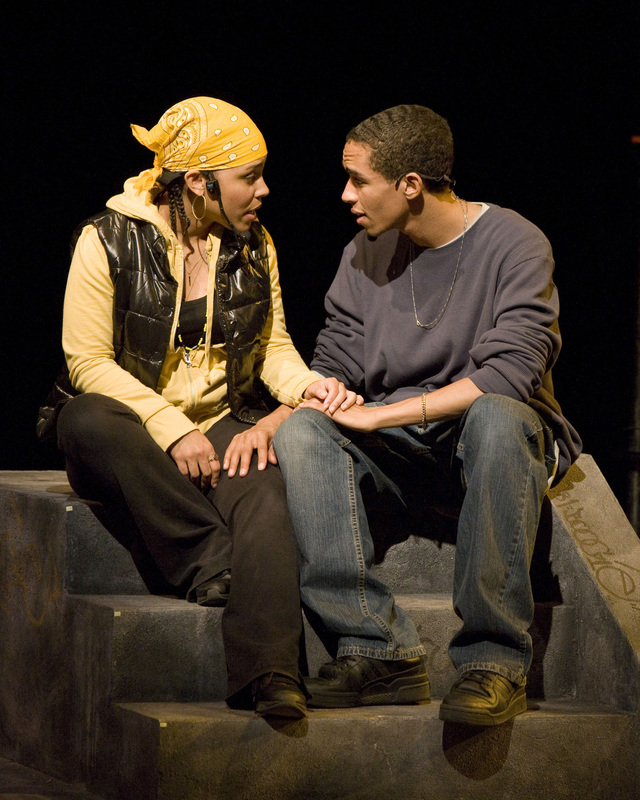 Amirah Vann as “Marisa,” and Kyle Beltran as “Andres” in The Old Globe’s production of Kingdom, book and lyrics by Aaron Jafferis, music by Ian Williams, directed by Ron Daniels, playing at Lincoln High February 14 – February 15 and in the Old Globe Theatre February 19 – February 22; photo by Craig Schwartz. 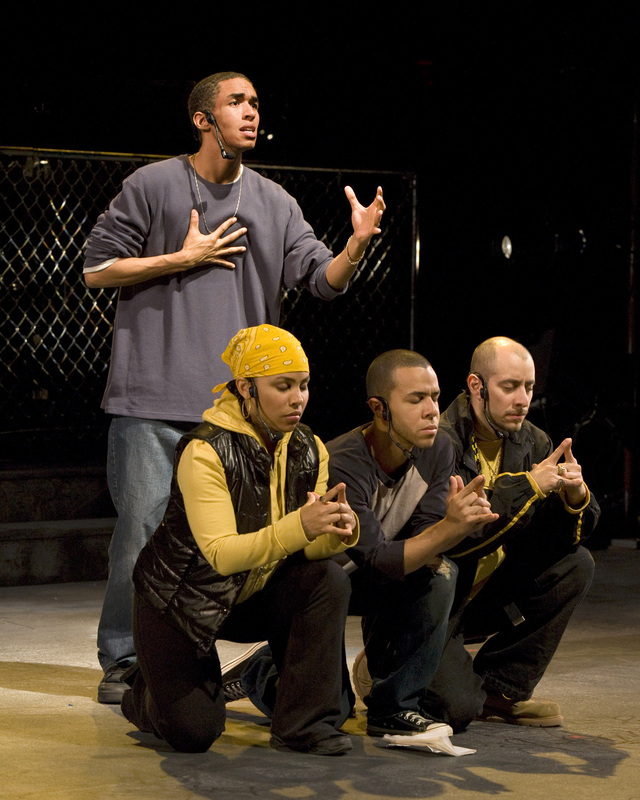 Cedric Leiba, Jr. (front) as “Juan,” with Gerardo Rodriguez as “Cano” and Diahann McCrary as “Female Ensemble” in The Old Globe’s production of Kingdom, book and lyrics by Aaron Jafferis, music by Ian Williams, directed by Ron Daniels, playing at Lincoln High February 14 – February 15 and in the Old Globe Theatre February 19 – February 22; photo by Craig Schwartz. 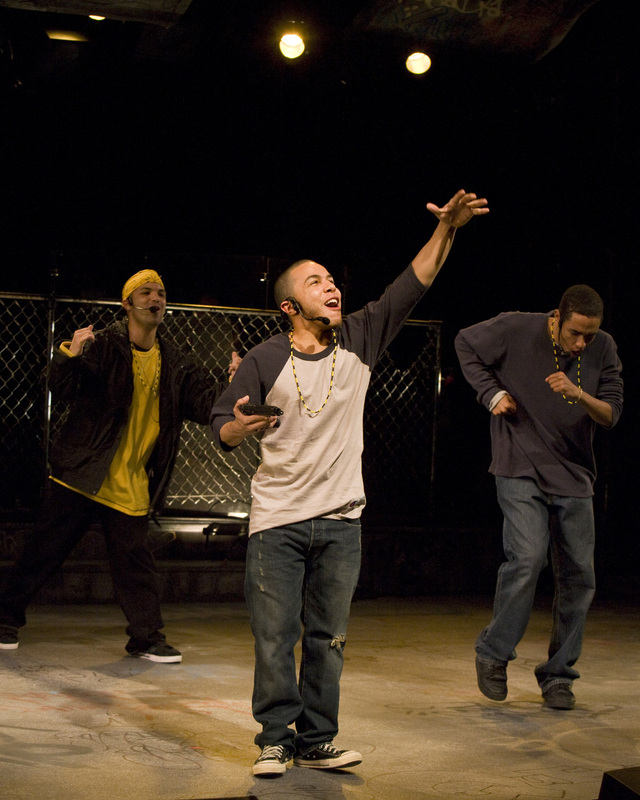 Kyle Beltran (standing) as “Andres,” with (L-R) Amirah Vann as “Marisa,” Cedric Leiba, Jr as “Juan” and Gerardo Rodriguez as “Cano” in The Old Globe’s production of Kingdom, book and lyrics by Aaron Jafferis, music by Ian Williams, directed by Ron Daniels, playing at Lincoln High February 14 – February 15 and in the Old Globe Theatre February 19 – February 22; photo by Craig Schwartz.